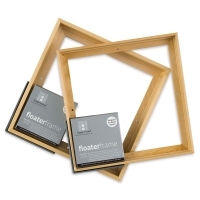 Finally, a do-it-yourself frame specifically designed for use with wood panels — but it's ideal for stretched canvases and flat panels as well! 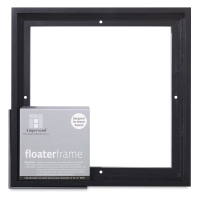 Every detail of the Ampersand FloaterFrame has been designed and engineered to deliver a simple, all-in-one framing solution that protects your artwork while giving it the finished look it deserves. 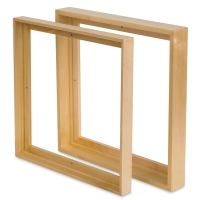 Made with premium hardwood, the Ampersand FloaterFrame features precisely constructed reinforced corners, a wider drill base, and pre-drilled countersunk mounting holes. 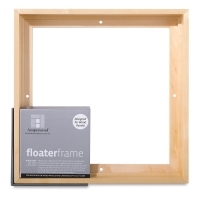 All mounting and hanging hardware is provided to quickly and easily attach your artwork to the frame, including mounting screws, screw eyes, a hanger, picture wire, and bumper pads. 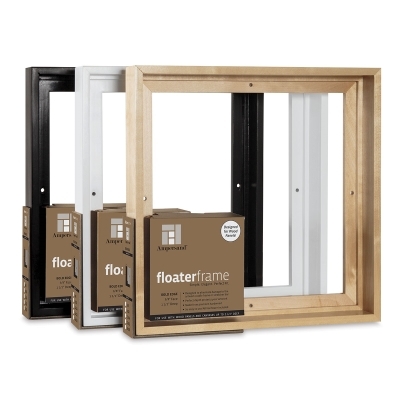 The Ampersand FloaterFrame is available in Maple, Black, and White finishes and in two elegant styles — a thin 1/4" face and a bold 3/8" face. 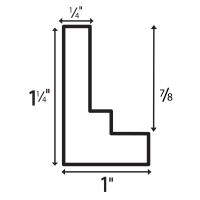 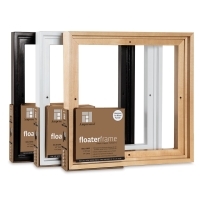 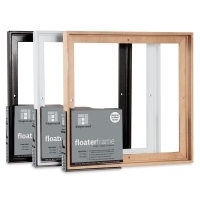 Both styles are available in depths to accommodate 7/8" and 1-1/2" profile artwork. 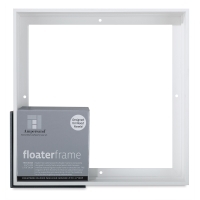 The 7/8" deep models will also fit 3/4" stretched canvas and flat panels with the included riser system. 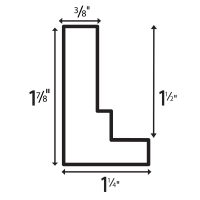 ™ Ampersand is a trademark.